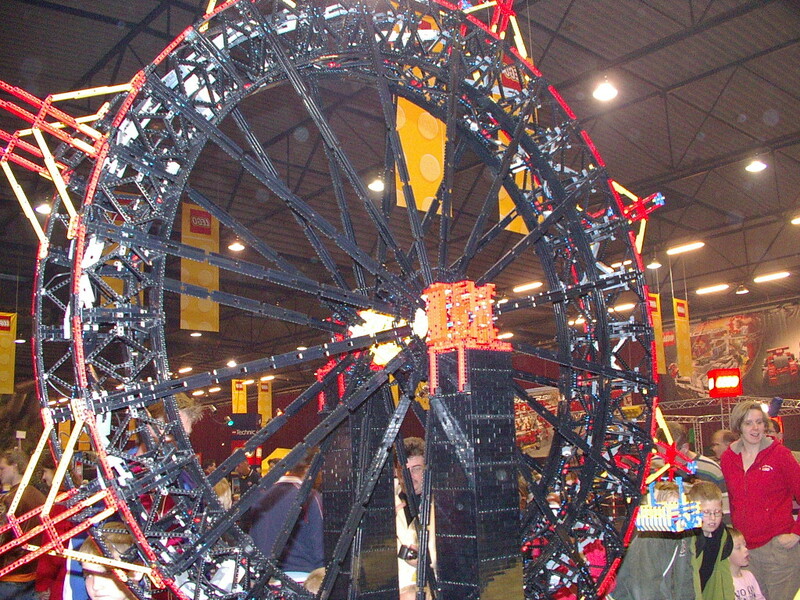 As promised in the original post, I've added today the MGBC video that I made at LEGOWORLD 2008, for the MGBC setup. In order to avoid it to become totally unnoticed, also made it as one of the TBs Week TechVideos. Once more, this was a large setup prepared by: Eric, Gerrit, Martyn (robotica) and friends. MGBC stands for 'Much Greater Baller Contraption', 'Much large GBC' or 'MINDSTORMS GBC'. Instead of the usual GBC setups with the small football balls, the goal is to move large MINDSTORMS balls (52mm) around and instead of an average of 1 ball/sec cadence, it features about 2 balls/min.